Teaching from expert legal professionals. Real opportunities to hone your solicitor skills. A supportive atmosphere with strong links to firms. Man Met has it all. You’ll build the skills you need to think and behave as a professional. Interviewing clients, writing letters of advice, preparing legal documents, appearing in court – our interactive course covers it all. You can even volunteer your skills to find out what legal work is really about. Our pro bono schemes mean you can practise your craft while helping someone in need or providing support for a business. The School’s competitive work placements are another great opportunity to get some more experience. The course follows the requirements of the Solicitors Regulatory Authority so you can practise in England and Wales. Law school community - You’ll be studying alongside students on our other courses – undergraduates, barristers in training and legal researchers. Expert teaching staff - Learn from practising solicitors who know what it takes to succeed. 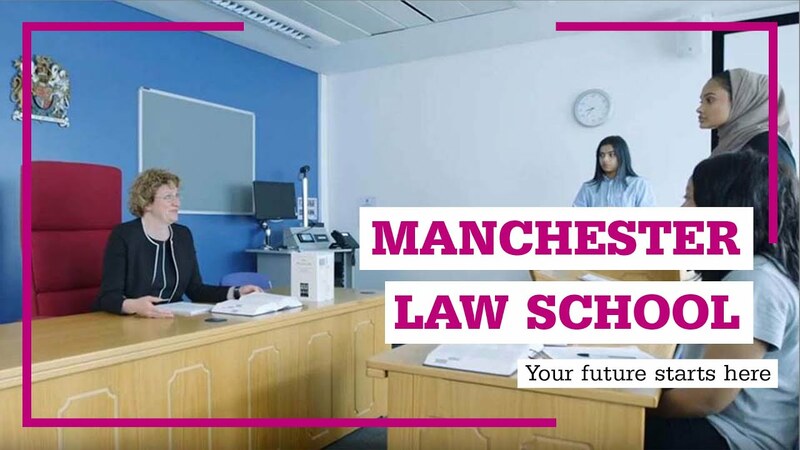 Award-winning Faculty – The Law School is based in Manchester, the second largest legal centre in the UK and at the heart of the Northern Circuit of the Bar. Top legal facilities – make use of our 24-hour library, legal library, mock courtroom and dedicated careers and employability hub. Practitioner mentor scheme - You’ll have a direct link to someone in practice to approach for advice and questions. Competitive course fees – we also offer an alumni discount if you graduated from our LLB or Graduate Diploma in Law. Pro Bono work - You’ll have opportunities for voluntary legal work. Careers advisers, tutors, and department events will all help you develop new links to the profession. Placement options – we’ll help you find work placements related to your specialism. “The programme is structured in such a way that it encourages you as a student to do everything that would be expected of you as a solicitor.”	 Mekisha Richardson, LPC Graduate. From the moment you join the course, we’ll work with you to build your CV. Our graduates often find jobs soon after graduating, even if they don’t have a training contract before starting their studies. Our Careers and Employability Service is available throughout the course. Our teaching team have excellent connections to law firms in Manchester, the UK and around the world. Take advantage of our network to develop new professional relationships while you’re studying. You can further improve your CV by getting involved in pro bono work through our network of legal partners. To enrol on the LPC you will need to satisfy us that you have a qualifying law degree or GDL qualification, or exemptions granted by the Solicitors Regulation Authority (SRA). You will normally have a UK honours degree, or international equivalent. International students please visit mmu.ac.uk/international. Practical legal skills, developed and honed in realistic situations and settings, coupled with the latest theory, delivered by academic experts and experienced, practising professionals. Our Legal Practice Course offers the best of both worlds – striking the perfect balance to help you pave the way for a future in practice. It’s a course designed to prepare you for life as a solicitor, in every way possible. That starts with setting up in groups, to reflect the kind of firm you could one day join. Together, you’ll tackle realistic legal challenges and scenarios to help you learn how to think and behave like a legal professional. With a series of case studies, you’ll go through the practical steps you would in the real world – from interviewing clients and writing letters of advice, to preparing legal documents and appearing in court. You’ll find the environment matches the approach too, with your own study areas, law library and mock courtroom. As such, you’ll cover a comprehensive range of topics and subject areas, learning all the key skills and theories vital to professional practice. But there’s room to pursue your own interests too, exploring specialist subjects like criminal law, family law or media law – to name just a few. You’ll have the chance to learn from an exceptional team, who can offer expertise and experience from a range of legal backgrounds. Thanks to our strong links throughout the sector, you’ll also be able to hear from some of the leaders in the field. We can even offer competitive work placements, giving the best students the chance to build their experience and their network. And, with our pro bono network, you’ll have the chance to put your skills to the test by volunteering to provide the kind of legal support that can make a real difference to people’s lives, not to mention your CV. Charting a path to become a solicitor isn’t simple. But with the professional mind-set, practical skills and in-depth understanding our Legal Practice Course gives you, you can take a huge step toward a career in law. You’ll study a comprehensive selection of core units, designed around the key areas set out by the Solicitors Regulation Authority. From there, we have a range of professionally-relevant option units you can choose to study. You’ll pick three – letting you shape your studies around your career ambitions and legal interests. You will learn about the skill of drafting teaching in workshops across all the core subjects in terms of real life case studies and documents. In this way you will understand that effective drafting underpins all areas of good legal practice in all types of law firms. As part of Manchester Law School, our LPC students have the opportunity to get involved in voluntary work through the Pro Bono Network. Working with one of our partners to provide free expertise to people in need means having the chance to build real skills and relevant experience. There are a range of different routes for pro bono work, working on projects with local, national and international partners. It could be working on a legal advice line or advising start-ups in our Business Law Café, or it might be supporting caseworkers for the homeless or even working on death row cases in the USA. It can be challenging, but it’s also rewarding. While you make a difference for your CV, you’ll also make a difference to people’s lives. UK and EU students: Part-time fee: £2625 per 30 credits studied per year. Tuition fees will remain the same for each year of your course providing you complete it in the normal timeframe (no repeat years or breaks in study). Non-EU international and Channel Island students: Part-time fee: £3000 per 30 credits studied per year. Tuition fees will remain the same for each year of your course providing you complete it in the normal timeframe (no repeat years or breaks in study).